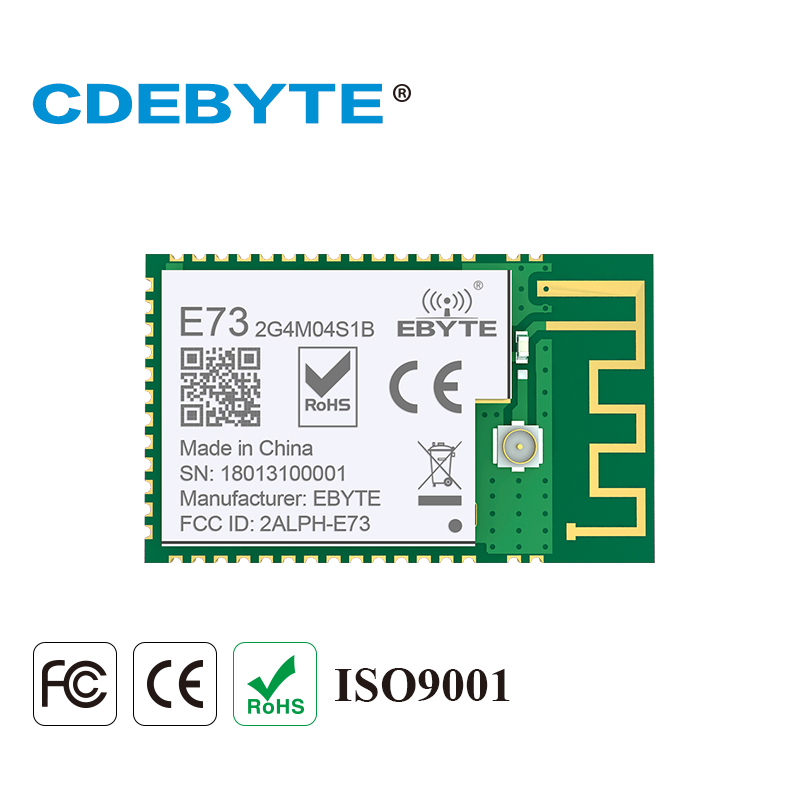 @neverdie I have ordered 10x nRF52832 and 2x nRF52840 from EBYTE (E73-xxxB/C). I will join you once I got them (they are on they way since 2 weeks). I'll also work together with ransyer to get new PCB's (the last we maybe together are for the ESP32). I'm curious what distance I can get indoor with the BLE 4.2/5.0 (no extra radio) and if required, I will combine it with a LoRA RFM95 (that is also what our PCB's is made for RFM69/95 and CC1101). @heinzv Well, great, the more the merrier. Already out of stock it seems, it's not possible to order them any more. They seem to have both 32K crystal and inductances for DCDC, that's pretty convenient. or that the coverage might be rather spotty. If I have success with mbed, I may circle back to the Sandeep library and the mysensors implementation, but I'd like to start with something solid, and it appears that mbed might be. The other nice thing is that it appears mbed provides an abstraction layer which makes easy to program a whole range of different mcu's, incuding many of the stm32's. Anyone here familiar with or tried mbed before? @neverdie I tried mbed briefly in a workshop on LoRaWAN FOTA. With the workshop instructions it was easy to use, but my impression is that Arduino has a much larger ecosystem with more libraries. I received some nRF52840 dongles. I confirmed with Nordic that the recommended way to program them over USB is to use nRF Connect v2.5.0 which contains the nRF Programmer v1.0.0-experimental.5 application. I tried that, but I may have somehow bricked my first dongle by not pressing reset first before the upload. Either that, or because my simple program didn't initialize the USB, maybe it can't be found for that reason (I suspect so). Luckily, I live not too far from Mouser. I should be receiving the nRF52840-DK today, so I figure that way I can unbrick the dongle. Yesterday I played around with mbed on an nucleo board. Seems to work well (no bricking). Unfortunately, the dongle isn't an mbed device, so the methods above are required unless you program it with a DK or similar. The good news, though, is that the DK is an mbed board, so hopefully that will be smooth sailing. It turns out that USB is built into the nRF52840 chip, so it doesn't require a separate chip like a CP2102 to communicate over USB. I guess that can be good or bad depending on how your write your code. By the way, the nRF52840-DK is even easier to program thant the nRF52832-DK. When you attach it to your PC, it shows as an additional drive in your directory. Any hex file that you copy to that drive gets uploaded and programmed onto the nRF52840. Easy. @neverdie that’s how we programmed the device in the workshop as well. Very neat. Luckily, it looks as though I can manually set any GPIO pin I want as the UART TX pin for debugging output from an nRF52840 by setting PSEL.TXD. That means I can probably re-use my PCB's from nRF52832 for the nRF52840 with just a few software adjustments even if I use mbed without the convenient pin mapping afforded by the mysensors code. So, this is starting to look more and more feasible. 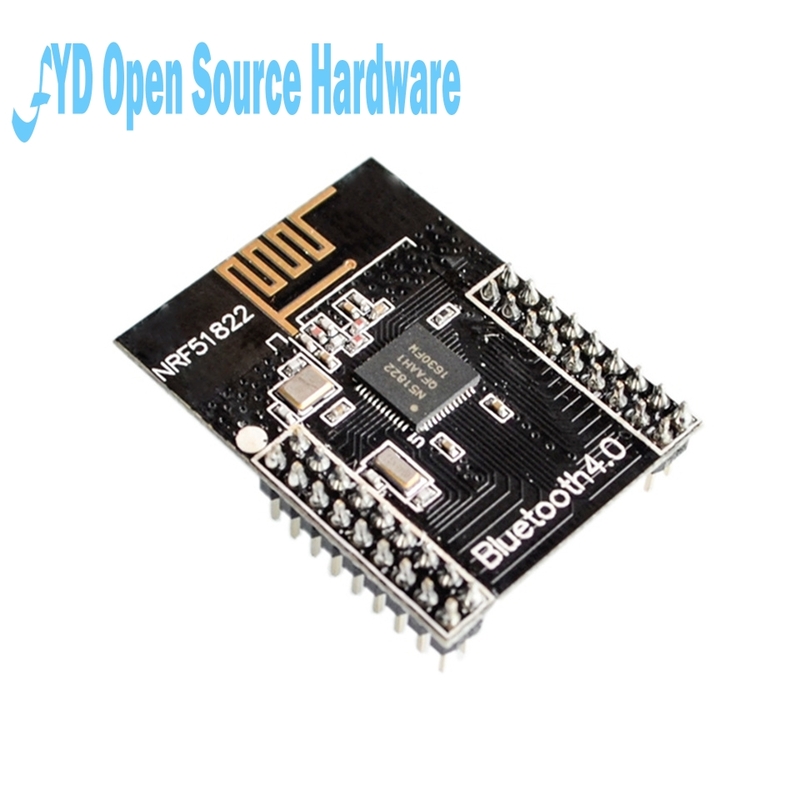 @NeverDie How do I know which nRF52832 board I should use? Does the CFsunbird-nRF52832 has the DC/DC inductors? 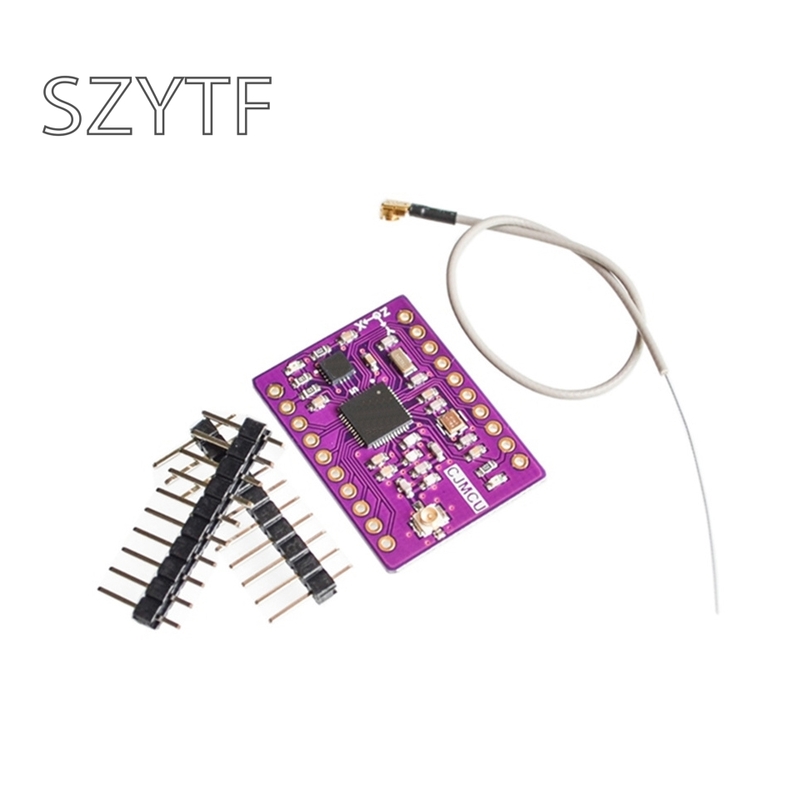 Or can I use nRF51822? @smilvert It really depends on what you want to do, but if you want a blanket recommendation, I would recommend the Fanstel modules. For one thing, they're FCC approved, and most of what you'll find on aliexpress isn't and probably wouldn't pass if it tried. Also, the Fanstel F series has superior range compared to anything I've ever found on Aliexpress. That's exactly what I'm doing with the NRF52832-DK already. How do you program yours ? @nca78 IIRC, with nRF52832-DK I was using the arduino IDE to program it using the J-link programmer. Anyhow, that's now ancient history. @neverdie Im guessing that the BT832 dosen't have the 32.768 khz crystal but the inductors? won’t be active at idle state to save power. cool. already tried it too. and i agree with you on this, arduino is fun at the beginning, but then you discover its limits. compatible with lot of things but incomplete That said, then you may end up converting some of your arduino libs/stuff to the new toolchain. On my side I like TI toolchain (free, tailored for iot with lot of nice tools, for debugging etc), not using it for nrf of course..
On other side, arduino is maybe "easier" to read for someone discovering coding. Interesting! Does that mean you're using TI's' MSP430 as your primary mcu now? nope, as usual I prefer the very best 430 isn't rf. Unfortunately, the problemm with mbed is that it provides no real support for using the nRF52 radio in proprietary modes. I would have to code all of that from scratch. Good news. I hadn't bricked the dongle after all. Yesterday I wrote some rather primitive code to send packets using the Nordic proprietary code and this morning I loaded it onto the dongle using its USB connector and USB Bootloader. I'm now receiving the packets on the nRF52840-DK, so that satisfies proof of concept. i.e. it works! Even better news! The range is quite good. Not as awesome as my LoRa modules, but at 1mbps (I haven't yet tried 2mbps) and 8db Tx power, it easily beats the range of the nRF52832 for a comparable setup. So, to be fair, the LoRa's can use quite a bit more Tx power, and the LoRa datarate is far slower, so the nRF52840's seem likely to be quite a bit more energy efficient than LoRa for a home environment. There is a 250Kbps speed available if using the 802.11.15 mode (which I haven't yet explored), and it should have even better range than the regular Nordic proprietary modes (of which there are only two: 1mbps, and 2mbps). IIRC, 802.11.15 can automatically handle retransmits and the like, and it's a proven standard. It likely handles a lot of the drudgery. Then there's Thread, which is new to me but which it also supports and which is intended for home automation. It has built in hardware acceleration for SHA256, which is pretty cool. CRC is handled by hardware too. Also, lots of crypto stuff for those who are into that. So, although these are just early results, so far I'm liking it. In contrast, I was rather disappointed in the range of the nRF52832's (even though they were better than the range of an unamplified nRF24L01). Now if they could put it in a maker friendly package..
@alowhum I don't think Nordic ever will, though for the $10 price the dongle comes pretty close, except for the limited castellated pinout, which is inconvenient though nicely small. I'm quite sure Adafruit and Sparkfun and maybe some others will though. I think from a purely hardware point of view it pretty much blows away the Arduinos since it includes an integrated radio and is low power and has the huge flash and memory and all the other goodies. So, going forward, I'll mostly be posting there, unless it's for earlier products like the nRF52832 or the nRF51. This company has the cheapest arduino-ish board I've found. It consists of a dev board..
Total cost: about 13 euros. I just turned the BBC Micro:bit board into a MySensors repeater. No problem, went totally smooth. The cheapest Micro-bit I've found is $18 on Aliexpress. Lady Ada has a great PDF tutorial, full of little code snippets, to help you get started with all the onboard sensors it comes with. @alowhum Thanks for your post. 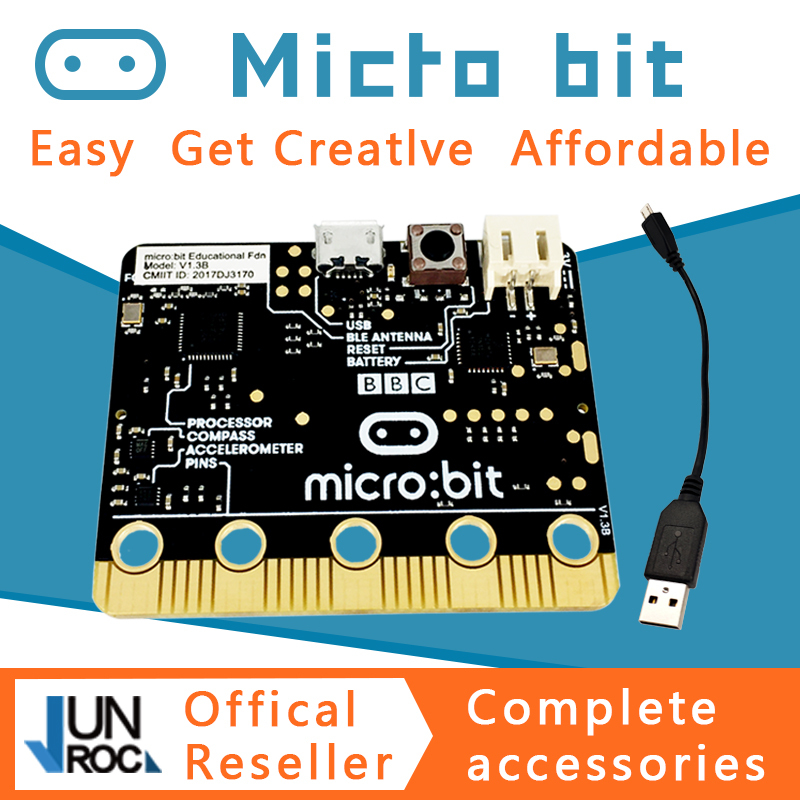 I just now looked on ebay, and there's an entire eco-system of little ad-ons for the micro bit! Lots of displays, buttons, sensors, power packs, etc. I thought there would be a vast supply on ebay of cheap used BBC micro bits, but I didn't see any. Not sure, but maybe on the UK ebay they can be found. After all, I think a lot were given away for free initially by a magazine or something. Yes, a million were handed out to school children. And if you buy one now, one is given to a child (theoretically). The ecosystem of attachment is indeed impressive. Parents who want their children to embrace and succeed in technology, there's quite some money to be made there. Your post is perfectly fine, and I would even encourage it. It makes good sense to share tips like that. The funny thing is that the 50% price is, IIRC, close to what the original price was when it was first introduced. Then the price slowly crept up from there. @neverdie well, July 2017 they were €4,15. So they went up around 1 euro in a year. FYI the last one I bought was about 5 months ago since then they went up from version 1,1 to 1,3. Also, the item number changed a bit (but the datasheet checks out). It went from E73-2G4M04S to E73-2G4M04S1B, and the introduced a nrf52810 E73-2G4M04S1A with the same footprint and pinout. @omemanti Ah, yes, you're right. It was on March 7, 2018 that they were on sale for $2.55. Well, regardless, it's a good price. @omemanti the A version is with NRF52810, be careful. @neverdie Sorry, im a bit confused. How much more current are used if the crystal is not connected? Can I use P00/P01 as a data pin instead of using the crystal? You don't need the crystal. Not sure difference in current. Yes, to your last question. @nca78 yeah I noticed that, what is the downside of the NRF52810? At least lower memory (ram and flash) and I don't know for the peripherals. Not sure if the core for nrf52832 will work flawlessly or not. Given the tiny price difference it's better to stick to nrf52832. Low frequency crystal will make you save energy when you use Bluetooth, because it needs to wake up at precise time frames to send/receive data. Do in that case the internal oscillator is not precise enough and mcu has to wake up regularly to recalibrate it with high frequency clock. For MySensors, it's not useful.